You better dust off your old spandex short-shorts and squeeze yourself back in, because it’s time to hit the beach! Instead of flying south, escape to a place filled with sunshine, sports, laughter, and similarly seasoned bodies right here in Edmonton. ESSC’s Beach Volleyball League welcomes all Legends, whether you’re a vet, a rookie, or just looking to have a good time. 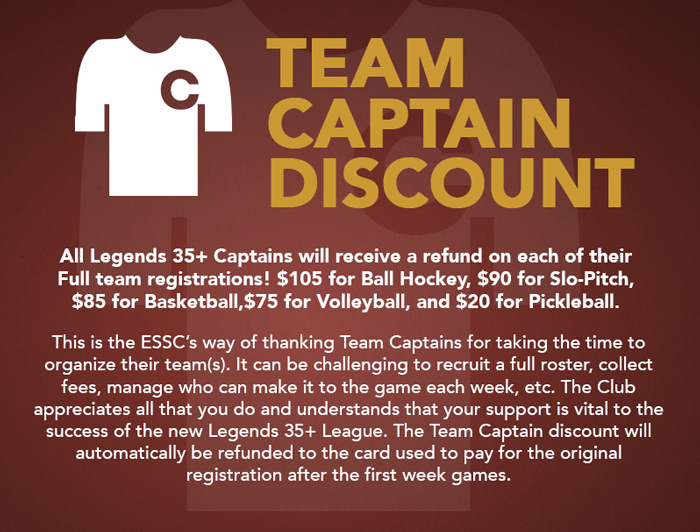 After your game, show off your spandex with other Edmonton Legends and enjoy exclusive food and drink specials at one of the ESSC’s many Sponsor Bars!